Do You Need Extra Room for Cooking? I’m not about to start suggesting that you get a bigger kitchen, or that you purchase an additional oven for this room in your home. What I am going to suggest (and it’s up to you if you take me up on the idea), is a portable cooktop. I’ve found these “gadgets” to be a life saver at times, especially when we have family gatherings on the holidays. Take Thanksgiving for instance. My family is huge and on this day it can be pretty chaotic at home, and the kitchen is where it all happens. There’s turkey in the oven, all sorts of vegetables cooking on the stove, not to mention all the tasty treats the rest of my family bring with them that need re-heating. As you can imagine, the kitchen is full of people who all want a turn with the oven. I think it’s what’s called “too many cooks spoil the broth”. 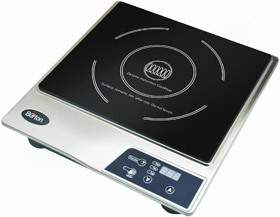 So, this year I decided to make sure I had a little extra cooking space, and this comes in the form of the Max Burton 6200 Deluxe 1800-Watt Induction cooktop. I’ve had plenty of chances to put this cooktop through its paces because it’s not just the holidays when my family gets together. In fact, any excuse for a huge meal, a few drinks, plenty of merriment and we’ll take it! Whilst this unit is 1800 watts, it actually has variable settings which range from 500 up to the maximum which is perfect for conserving energy when you don’t need that much power. There are no less than 10 temperature settings (which range from 140 to 450F), which is one of the largest I’ve come across. The controls are push button style and really easy to use. Of course, there are safety features which one particular member of my family (who shall remain nameless) really needs. There is a 180 minute timer with an automatic shut-off and overheat sensor. This means no more burnt food and ruined pans. As long as you have a power outlet, you’re not limited to using this cooktop in your kitchen (an absolute life saver for me). So it can be used in a different room or even outdoors. 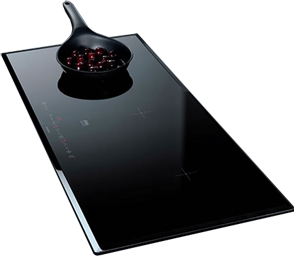 Because this cook top uses induction heating technology you can only use cookware that’s compatible with it. If you’re not sure if a particular pan is compatible, the manufacturer has cleverly installed an “unsuitable cookware detector” so there’s little chance you’ll cause any damage. Due to the overall size of the Max Burton, it’s not recommended you use anything larger than 10” in size. However, I haven’t found this to be a problem. I think the Max Burton 6200 is fantastic value for money. Just take a look at Amazon to see what I mean. It’s helped me reduce the number of “cooks” in my kitchen and it’s a great addition when my own oven is overloaded. Plus, due to the safety features installed, I spend less time trying to switch off the smoke detector when certain members of my family descend upon my home!